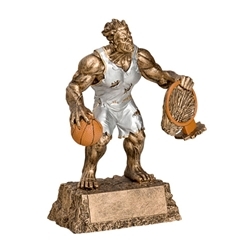 6.75" Basketball Monster Trophies. For the scorer or defender in your group. This unique award is perfect for MVP, Best Offense, or Fantasy Basketball or March Madness Champion.